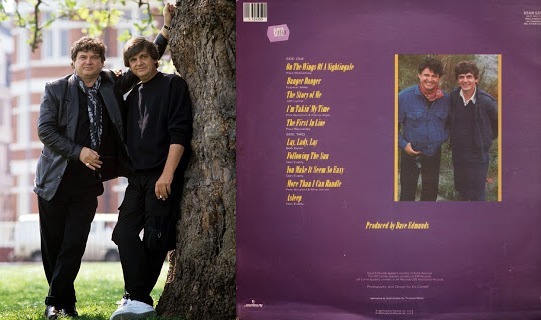 The Everly Brothers 1984 album "EB84" - which featured the Jeff Lynne penned song "The Story Of Me"
Hello ... Hello ... my old friends ... It's great to see you once again! It was sad to hear today that Phil Everly - one half of The Everly Brothers, of course - and a major inspiration for ELO maestro Jeff Lynne and The Beatles, died on 3rd January 2014, at the age of 74 years, the result of complications after a long battle against pulmonary disease. 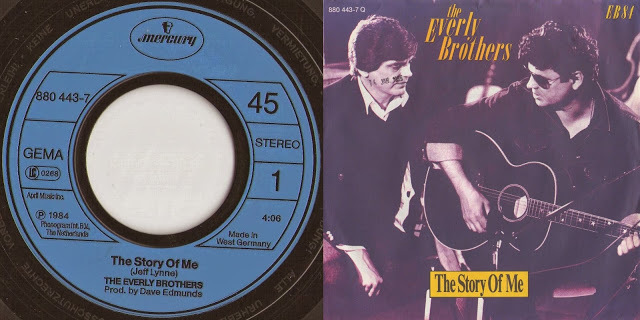 Phil Everly recorded the 1984 Everly Brothers album "EB84" with brother Don, which included the trademark Jeff Lynne composition "The Story Of Me" [a song that sounds like it came from the: "Secret Messages" sessions] and released as a single in the UK [#MER180] and Europe. The album also featured Richard Tandy and Paul McCartney as well as being produced by Dave Edmunds - who of course was produced by Jeff on a number of occasions in the eighties too. Jeff returned the favour [so to speak] when he covered The Everly Brothers classic "So Sad [To Watch Love Go Bad]" in his 2012 successful comeback release "Long Wave". Phil was also present with Jeff Lynne, Joe Walsh and the Orbison family when Roy Orbison was inducted into the Hollywood Walk of Fame back in January 2010. The Everly Brothers famously covered Roy's 1958 song "Claudette" as the flip side of their classic single "All I Have To Do Is Dream".